Could Phone Records Assess Blame for San Antonio Accidents? When a rear-end accident occurs in San Antonio, Alamo Heights, Olmos Park, Terrell Hills and surrounding areas, the driver in the rear vehicle is typically assumed to be the person wholly or partly responsible for causing the collision to occur. The driver in the rear is the one who is at fault in most cases because it is his responsibility to leave enough room between his car and the lead vehicle so he will have time to react or stop if the driver in front suddenly brakes. 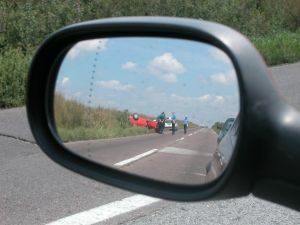 Although rear drivers are typically held liable, this does not mean that there won’t be an investigation into the cause of an accident, especially if a death occurs. A personal injury lawyer knows that police will look at many different things to determine if a driver is to blame for causing an accident. One of those things is phone records. ABC News reported that there is an investigation going on into a motor vehicle accident involving reality television star and Olympian Bruce Jenner. Jenner was reportedly involved in a four-vehicle chain reaction crash that started with a rear-end accident. One person was killed in the collision and others suffered injuries. As a part of the investigation into how the accident happened, the sheriff’s investigators assigned to the case have asked that the drivers involved turn over their cellular phone records. If drivers in rear-end crashes don’t voluntarily turn over phone records, law enforcement officers will typically subpoena those records. Once investigators have the records, the goal is to make a determination as to whether the driver was on the phone or sending text messages at the time of the collision. Although a person who is on the phone is not automatically responsible for causing a collision, both talking and texting can significantly increase the chances of a rear-end accident or other collision. As a result, if records show a driver was on the phone, this can be used as strong circumstantial evidence to suggest that driver may have been at least partly responsible for the collision. Determining if someone was talking is very simply and straightforward using phone records. Cell phone records will show the time that the call was placed or answered, as well as the time the call was ended. Based on the duration and time codes of the call, police can determine exactly when someone was on the phone and can compare this to the time when the accident happened. 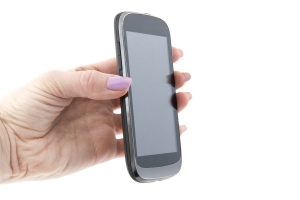 The Claims Journal reports that it is harder to tell if someone was texting, since time codes only show when texts were received or delivered. A motorist may have been reading or typing a text and there would be no clear record on the phone of that. However, investigators can look at a record of sent and received texts immediately surrounding the time of the accident. If a lot of texts were being sent and received, this is a strong indicator that the motorist may have been in the process of reading or typing a text at the time when the crash happened. Throughout Alamo Heights, Olmos Park, Terrell Hills and surrounding areas, many drivers have vehicles that are equipped with technologies designed to prevent collisions. They can have a positive impact on reducing car accidents as long as the technologies are used responsibly. A personal injury lawyer knows that these technologies can also become dangerous if drivers rely too much on them to the detriment of focusing on road safety. Drivers need to remember that technologies are not foolproof and that there is no substitute for paying careful attention to the road and driving assertively. Two of the most common types of safety technologies installed in vehicles today include blind spot detectors and lane-keep systems or lane departure warning systems. The purpose of blind spot detectors is to alert drivers to the fact that there is an object or vehicle in their blind spot. The purpose of lane departure warning systems is to make sure that motorists do not veer outside of their lanes. Approximately two percent of cars in 2014 had blind spot detection systems installed as standard features while a full 75 percent of vehicles offered this technology as an optional add-on. Around 50 percent of 2014 vehicles had a lane departure system option. AOL Auto reports that AAA and MIT’s AgeLab joined forces to test these technologies and see how well they worked. The results showed that there is a lot of room for improvement. When it comes to blind spot detection, this technology did not work very well if the cars that were in the vehicle’s blind spot were traveling quickly. The technology was even less effective when a motorcycle was in the blind spot. The motorcycle did not show up on the detector until 26 percent later than passenger cars did and by this time, the car and motorcycle were only 14 feet apart. In situations where the motorcycle was going 50 miles-per-hour faster than the car, the motorcycle actually never showed up in the blind spot detection system. Because many drivers use these systems on highways when merging or passing, and cars tend to go fast on highways, it is really dangerous that the systems tend to work badly at high speeds. Lane detection systems were also imperfect under many different conditions. These systems tended to malfunction when the driver was traveling through a construction zone; when the conditions on the road were wet; or when the pavement was worn. Drivers need to be aware of the fact that these systems may not be that good at preventing collisions. While motorists can use them as a supplement to help them avoid accidents, drivers still need to follow best practices for safety and rely on their own instincts to avoid motor vehicle accidents. Ultimately, drivers are responsible if an accident happens, even if their technology that was supposed to prevent it did not work as planned. The start of another new year means it is time to brainstorm resolutions for 2015. Most people in San Antonio, Alamo Heights, Olmos Park, Terrell Hills and surrounding areas make resolutions designed to improve their health or some other aspect of their lives. For example, you may resolve to read more books, spend more time with your family or lose weight this new years. When you are thinking about the resolutions you can make to improve this year, consider resolving to try to be a better driver. A personal injury lawyer knows that accidents are routinely caused by drivers making bad choices. With a few simple lifestyle changes, you could reduce the risk of a collision and make the roads safer for everyone. Almost every driver does at least some dangerous things behind the road. Unfortunately, the majority of motorists will get into a crash at some point in their lives. In fact, Forbes reports that a driver will file a claim with an auto insurance company for a motor vehicle crash an average of once every 17.9 years. That you won’t drive distracted any more. According to the Centers for Disease Control and Prevention (CDC), there are nine people killed and 1,153 people hurt every single day in this country because of distracted drivers. You increase your risk of a distracted driving crash by taking your eyes off of the road; by taking your hands off of the wheel; or by doing things that cause a cognitive distraction. Often, using a cell phone or electronic device requires you to do all three of these things. This year, resolve that you won’t let your focus be taken away from the road. That you won’t speed any more. 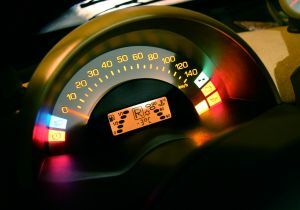 Speeding is really common, but it is also a cause of around a third of all car accidents in the United States, according to the Insurance Institute for Highway Safety. The majority of speeding crashes — 38 percent — happen on minor local roads while only 30 percent occur on interstates and freeways. You can avoid the risk of these crashes and also save yourself money by going the speed limit. Fuel Economy reports that you’ll get 33 percent better gas mileage on highways and five percent better mileage on town roads if you slow down. That you won’t be aggressive on the roads. Aggressive driving includes things like tailgating and changing lanes when it is not safe to do so. Aggressive driving increases the risk of crashes and threatens the safety of others. The National Highway Traffic Safety Administration reports that as many as 67 percent of drivers said they have felt threatened by aggressive driving behavior over the course of the year. These three changes are minor shifts in the way you drive, but they can make all the difference. Driving while talking on a phone is dangerous and most motorists in San Antonio, Alamo Heights, Olmos Park, Terrell Hills and surrounding areas know it. In fact, the number of people who talk on handheld cell phones has declined over the past six years. Unfortunately, this does not mean that motorists are paying more attention behind the wheel. To the contrary, USA Today reports a recent study by State Farm suggests there has been an increase in the number of motorists engaging in even more high-risk distracted driving behavior. A personal injury lawyer knows that many motorists incorrectly believe that they are able to text, send or read an email, or quickly check their social media sites without putting themselves at risk. The reality is, these behaviors can be a major distraction that can significantly increase the odds of an accident happening. In 2009, just 15 percent of drivers said they had sent or read emails while behind the wheel. In 2014, 26 percent of drivers were emailing while operating their cars. In 2009, 13 percent of motorists indicated that they had utilized the Internet on an electronic device while in their cars. By 2014, a total of 26 percent admitted to being on the web. In 2009, around nine percent of people said that they checked on a social media site while driving. In 2014, a full 20 percent of drivers said that they had used a social media site while operating their car. It is unclear why drivers are engaging in these behaviors at the same time as they have reduced their use of handheld devices. One possibility is that many motorists do not realize how distracting these activities are and they overestimate their ability to quickly check in on their phone without missing anything on the roads. Many drivers also think they are safe to check an email or use the Internet while stopped at an intersection. A total of 63 percent of respondents to the 2014 State Farm survey indicated they were much more likely to use an electronic device while stopped waiting for a light. Since around 36 percent of annual collisions happen at intersections, however, it seems clear that it is still not really safe for drivers to allow themselves to become distracted while waiting for a light to change. Drivers need to be aware of the major risks associated with all types of distracted driving, including using the Internet. If a driver chooses to operate an electronic device instead of focusing on the road, he could become responsible if a motor vehicle collision results from this careless behavior. Injury to the brain can have a devastating affect on your health. A concussion, the most common type of brain injury, is considered by some to be a relatively minor injury. However, experts caution that even this type of traumatic brain injury (TBI) can take weeks to heal and can have lasting health effects. Repeated concussions or blows to the head can significantly increase the risk of major cognitive impairment. A personal injury lawyer knows brain injuries frequently occur due to sports accidents; motor vehicle collisions and falls. People throughout San Antonio, Alamo Heights, Olmos Park, Terrell Hills and surrounding areas need to be aware of the risks of brain injury, as well as the lasting consequences if they suffer a blow to the head. Those who are responsible for causing a brain injury need to be held accountable. Recently, NBC News published an in-depth article about the long-term and severe consequences that are associated with a TBI. The article was prompted by the fact that an Ohio State University Football player who had suffered repeated concussions committed suicide. Suicide rates are higher among those with repeated brain injuries and a TBI may be linked not just to an increased risk of suicide but also to an increased risk of becoming dependent upon drugs or alcohol. The symptoms of a traumatic brain injury will manifest immediately after the blow to the head, and differ depending upon the individual. Even a concussion causes a mini-seizure to occur, after which the brain shuts down to try to heal. The healing process can take several weeks. The immediate symptoms that are associated with a mild TBI usually include confusion and memory problems. Amnesia may also occur. When multiple head traumas are sustained, a person will also experience lasting consequences. For example, a person who has suffered multiple concussions or a series of blows to the head has an increased chance of developing Parkinson’s disease, dementia, post-concussion syndrome and chronic traumatic encephalopathy (CTE). CTE causes symptoms that are close to those caused by Lou Gehrig’s disease while post-concussion syndrome generally manifests as dizziness and concentration difficulties. 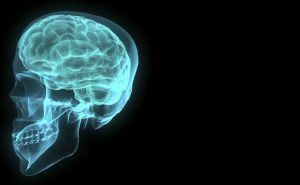 Behavioral changes and cognitive impairment can be both a short-term and long-term effect of suffering a brain injury. It is difficult to know whether a particular blow to the head is going to cause long-term consequences. There are also no real effective treatments that can prevent these consequences from occurring after a blow to the head happens. Patients, however, are increasingly seeking treatment due to TBIs. This is occurring in part because of more awareness of the dangers of head injuries due to high-profile lawsuits brought by football players against the National Football League. In just the past four years alone, there has been a 29 percent increase in people going to the ER to get treatment for a brain injury. Seniors and toddlers are the age groups most likely to experience this type of injury, but everyone is vulnerable to getting badly hurt due to a blow to the head. In the United States, an average of 50 children are injured each week when they are backed over by a vehicle. The majority of these children are around 23-months-old on average, according to Kids and Cars. A total of 48 generally receive treatment in a hospital as a result of being backed over by a vehicle. The remaining two children lose their lives. A personal injury lawyer knows there are steps that can reduce the risk of a back-over accident occurring. One of the best options available may involve installing an after-market rear-view camera system or purchasing a vehicle that has such a system installed as an option available from the manufacturer of the vehicle. According to the Auto Channel, a vehicle with a rear view camera provides significantly more visibility in the rear than a vehicle with no back-over camera. 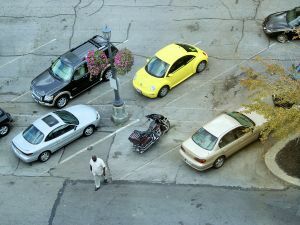 A study from AAA demonstrates the extent to which visibility can be improved. AAA tested rear visibility in 17 different vehicles made by 11 different car manufacturers. Some of the vehicles had rear view camera systems installed by the manufacturer and others had systems installed by the drivers after-the-fact. The research revealed in hatchback cars, there was a 75 percent improvement in rear visibility when a camera was in place. In smaller cars such as sedans, there was a 36 percent improvement in rear visibility after the installation of a rear view camera. Cameras were especially helpful in making it easier for drivers to see the area 10 feet immediately behind the vehicle. This is the most dangerous location in terms of children being injured in back-over accidents. Unfortunately, statistics reveal that around 70 percent of situations where a child is the victim of a back-over crash, the driver of the vehicle is a parent or a close relative of the child. This means parents can significantly improve their own children’s safety by making the decision to install a rear view camera. 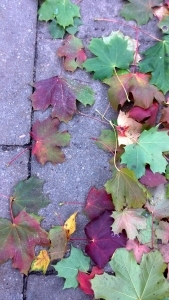 Of course, while cameras can make a big difference, they are not 100 percent perfect. AAA still advises drivers should walk behind the rear of a car before getting into the vehicle to make sure the exit path is clear and no children or obstacles are in the way of the car backing up. When walking behind to do the pre-check, it is also a good idea to clear off the camera if it has debris on it that could impede visibility. Drivers should also be aware bad weather can create a fuzzy picture and make back-over cameras slightly less effective. The National Highway Traffic Safety Administration (NHTSA) has imposed a requirement that all vehicles be equipped by back-over cameras by 2016. Until this time, drivers may wish to invest in a vehicle that has one installed when looking for a car to buy. Alternatively, they may wish to install an after-market system on their own. 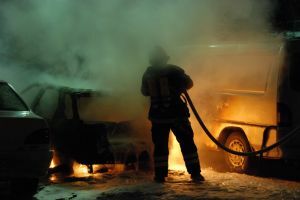 Contact a San Antonio accident lawyer at the Herrera Law Firm. Call 800-455-1054 or visit http://www.herreralaw.com for a free case consultation. Serving San Antonio, Alamo Heights, Olmos Park, and Terrell Hills. 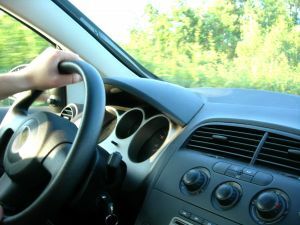 Parents of teen drivers frequently try to set rules to reduce the chances of their sons or daughters getting hurt in a motor vehicle accident. A teen driving is a frightening thing for a parent, especially since the statistics show collisions are the No. 1 cause of death among young people. Unfortunately, sometimes parents are not aware of the greatest risks that their children face behind the wheel. The National Highway Traffic Safety Administration aims to draw attention to high risk teen driving behaviors during National Teen Driver Safety Week, which took place at the end of October 2014. A part of this campaign urged parents to talk to their teens about a different driver safety issue on each of the five days. While the teen driver safety week is over for the year, a personal injury lawyer knows there is never a bad time for parents to begin a conversation about staying safe behind the wheel. When their children are able to get a driver’s license. The access their kids have to a vehicle. The rules the family sets for driving, as well as punishments for breaking the rules. 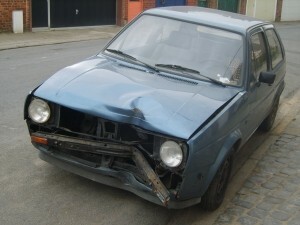 The vehicle that a teen uses to drive. When and how they teach their children to drive and the extent of supervision of teen drivers. How their own behavior behind the wheel serves as a role model for their kids. Many parents set rules related to when children can drive, where they can go and what time they should be home. Unfortunately, parents often don’t spend a lot of time talking about dangerous driving conditions and some parents are unaware of the biggest hazards their kids face. For example, parents often don’t talk to their children about the risk of driving with numerous teen passengers. However, the NHTSA indicates having just one teen passenger in the car more than doubles the risk of dangerous teen driving behavior. Meanwhile, having multiple teen passengers in the car results in three times the risk of dangerous behaviors. Not using cell phones or texting while driving. Not having extra passengers in the car with them while driving. Not driving or riding in a car without having a seat belt on. In 2012, there were 1,875 young people between the ages of 15 and 20 killed in fatal car accidents and teens of this age group were involved in a total of 4,283 crashes. Parents should do everything possible to talk to their kids so they can reduce the chances that a collision will occur. In the United States, there has been a 41 percent reduction in the number of people dying in motor vehicle collisions since 1972 when there was a peak in motor vehicle accident fatalities. This seems like great news, and U.S. traffic authorities such as the National Highway Traffic Safety Administration want the public to believe that we are doing a really good job in making the roads safer and reducing deaths. The reality, however, is that there is more to the story. An experienced personal injury lawyer knows that other countries have experienced much more significant declines in the number of motor vehicle accident deaths in the past several decades since the 1970s. In fact, at least 25 other countries have reduced their death toll more than the United States, many by very significant amounts. Why is the U.S. Not Keeping Up in Traffic Safety? In both Germany and the Netherlands, there has been an 81 percent reduction in the traffic accident death rate since the 1970’s while in Great Britain, there was a 76 percent reduction in people killed in collisions each year. Why are these other countries doing so much better than the U.S. at making road conditions safer and saving lives? USA Today suggests that it is because these other countries have focused on different things than the United States. Specifically, the U.S. may be overly focused on developing and mandating new safety technologies rather than on shaping and changing driver behavior to encourage safer actions behind the wheel. The National Highway Traffic Safety Administration’s website seems to prove the point that USA Today is making. On the website, there are numerous news stories about different technologies that have been established or developed in recent years or that are under development now. For example, news stories discuss child safety seats; a website to check for vehicle problems; advances in airbags; and new rules for vehicle-to-vehicle communication. There are some stories providing safety tips to motorists but the NHTSA is clearly focusing on technology tools. A focus on technology can be problematic because technology can fail. Recent recalls of GM motor vehicles show that vehicle technology is not perfect and that serious problems can occur when cars don’t function the way that drivers expect. Further, much of the technology that is developed to make vehicles “safer,” actually is intended to reduce the damage that is done to the body after a crash happens. It is far better to prevent crashes in the first place, and other countries are doing a better job of that by establishing more rules to make drivers behave more safely. For example, other countries have passed stricter laws on distracted driving and have instituted more widespread radar detection and red light cameras than the U.S. If we had been as successful at these other countries in reducing fatalities, as many as 20,000 fewer Americans would have died in vehicle collisions just in 2012 alone. Clearly, something needs to change to improve road safety for U.S. drivers and the focus needs to shift to encouraging motorists to make safer choices. Each year, around 25,000 children are injured when they are involved in accidents commuting to or from school. Unfortunately, things may be getting worse. A recent study has revealed that there are many motorists who drive distracted in school zone areas. A personal injury lawyer knows that distracted driving can significantly increase the risk of a collision, with texting alone making a motorist 23 times as likely to become involved in an accident. San Antonio drivers need to be aware that schools are back in session and that laws related to school zone and school bus safety are in effect. Young lives could be saved if drivers paid attention around school buses and areas where children walk to school. An NBC News video dramatized the risk that distracted drivers present to school children by showing a semi-truck blowing past a stopped school bus. The truck drove on the side of the road and narrowly missed hitting a young girl who was waiting for the bus. The driver subsequently tuned himself into authorities and admitted he had been distracted at the time when the incident occurred. Unfortunately, distracted driving has become much more common in school zones in recent years. 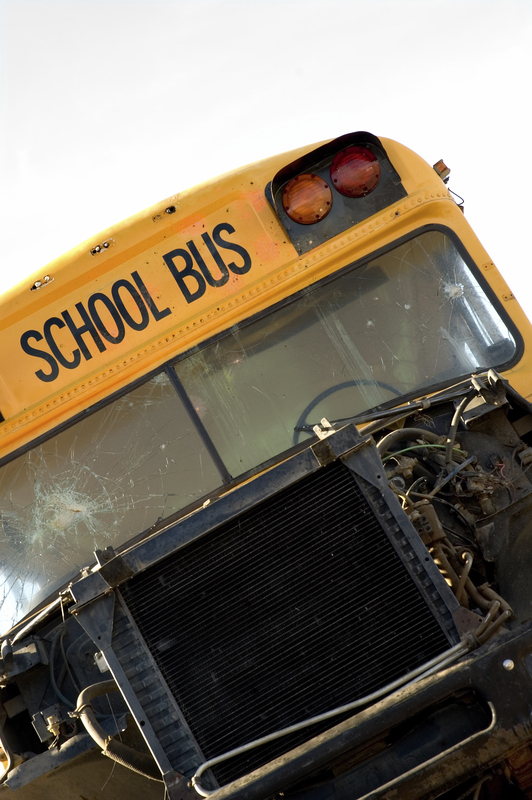 Experts estimate that as many as two million more people illegally passed school buses with their stop arm extended as compared with in 2011. American Traffic Solutions largely attributes this problem to the fact that there are more drivers who are distracted on the roads. One driver out of every six who passes through a school zone is distracted at the time. Men and women are distracted in close to equal numbers. There were 154 distracted men for every 1,000 male drivers and 187 distracted women for every 1,000 female drivers. Out of every 1,000 drivers passing through school zones, 98 were distracted because they were on their cell phones or using other electronic devices. A total of 44 out of 1,000 drivers who were distracted in school zones were eating, drinking or smoking as they drove. There were 19 drivers out of every 1,000 driving through school zones who were distracted because they were reaching behind them or looking behind them. Nine out of every 1,000 distracted drivers passing through a school zone was engaged in personal grooming. Three out of 1,000 drivers who went through a school zone were reading at the time. Drivers were more likely to be distracted during the afternoon school zone hours as compared with the morning hours. Zones that did not have flashing lights were also more likely to have distracted drivers, as were areas where 10,000 or more cars passed through daily. These are the areas where children are most at risk. Contact a San Antonio, TX accident lawyer at the Herrera Law Firm. Call 800-455-1054 or visit http://www.herreralaw.com for a free case consultation.